It was a rather warm day in the Icewing territory. Well, warm for an Icewing, at least. Most other breed of dragons would have stayed inside with a fire to warm themselves, but it was with no problems that Asher was laying outside. Asher had been living in the outskirts of the territory for a while, fleeing the constant agitation of the heart of the Tribe. He was far better where he was, having all the calm he needed for his studies. The icy blue dragon was currently laying in the grass, near a small stream of water, and was writing on a book, looking rather absorbed by what he was doing. Only the noises of nature were here to relax him - the sound of the stream, the wind blowing over the toundra, a few birds chirping here and there... All in all a good day to study outside. He didn't have many visitors to disturb him, and even then the few he was getting were providing all the social interactions he needed. Krystal was wondering across the plains, sighing as the life around her seemed to even hate her very existence. Things ran from her, things avoided her and even fell their branches and sticks across her. Growling in anger, she threw the rude branches away from her, looking around to make sure that no one had seen that action. Convinced that they didn't, she continued on her way to the stream. As she wasn't meant to be in the IceWing lands, Krystal had to be quick as she lowered herself down to the crystal clear waters, taking quick drink from them. She was completely unaware of the dragon near, thinking that she was alone. Asher didn't hear the dragoness arriving until she was actually at the small stream. The icy blue dragon blinked, a but surprised that this dragoness didn't even seem to have noticed him. It was right that lying in the rather high grass like he was, it could be easy not to spot him, especially since the only noise he was making was the noise of his claw scratching paper. He shifted a bit, hoping he had made just enough noise to make the dragoness realize she wasn't alone without giving her a jump scare. Or at least he hoped so. "Good morning. It's a fine weather today, isn't it?" he then spoke, trying to engage the conversation the less awkwardly possible. Krystal did hear faint footsteps, but before she could really formulate a plan to try and leave quickly, he was already speaking to her. Naturally, her form drew closer to the ground as she looked up at the blue IceWing. A small hiss built in her throat but she refused to let herself growl. She may have been scared beyond beleif, but that was no reason to be incredibly mean. "Fine is one word for it, in my opinion, it's incredibly chilly and not exactly something to be out and about in." Krystal said rather firmly, her natural hosility towards any and all dragons holding fast to her reactions towards him. Closely, she watched him, ready to run with any aggressive movements from him. "What are you doing out in the cold?" Asher was a bit intrigued by how snappy and aggressive the dragoness turned out to be. He was about to make a sharp reply, but some other signs drew his attention. Her low posture, muscles tensed, as if she was going to run right away. She was... Scared? That would explain the hostility. "I usually call it fine when it's not freezing to death out there. Sure, it's a bit chilly, but it's still a rather nice weather compared to what we can get. And, mind me, but it is an odd question to ask someone who just wanted some fresh air in front of their own cave. I could easily return you the question, since unlike me your cave isn't anywhere near here..." he replied, a bit coldly. And of that he was sure. After all, he picked his cave in a region were no other Icewing were. For a few moments, Krystal was puzzled as to why the dragon dared to keep talking to her. She was an exile, known to most by the dragons and IceWings as the exile. The one who wasn't allowed back to the city for some stupid guards in the past. However as this unusual IceWing didn't move away from her and stayed to talk, Krystal's posture slowly changed from being defensive to being much less defensive. Almost accepting of him. Krystal wasn't surprised when the dragon reacted coldly to her, and she nodded sharply however she refused to move from her hunkered position. "Forgive my snappiness. I've had many bad experiences with basically every single dragon." Krystal explained bluntly, before nodding to him slightly, "I can agree with you. It is somewhat warmer than other times. As to why I'm here... Well. I came here due to hunger and thirst and thought this area had been unoccupied. Please forgive me for this, I can leave immediately if you wish..." Krystal commented, gesturing with her fur covered tail to leave. At this though, her stomach growled rather loudly, and her head dipped slightly from embarrassment. "Sorry..." Krystal mumbled quietly, looking away from him as her cheeks flushed lightly in embarrassment. Asher couldn't help but smile as Krystal mentioned having bad experiences with every dragon. While Asher's own reasons were not as serious, there was a reason he lived in a rather secluded areas. But it was mostly because he couldn't stand prolonged social interactions with multiple dragons. The icy blue dragon tilted his head as the dragoness began to profusely apologize, offering to leave. She sure wasn't lying about her motivations to be there, as all of a sudden her belly growled in protest over a visible lack of food. "There's no need to. I may have been sharp as well, but I can enjoy having some company every once a while... I have some meat in reserve - probably not enough to feed a hungry dragoness like you, but enough to satiate your stomach for a little while. If you want some... Follow me, Krystal." he told her. What would strike Krystal right now was that she never introduced herself to the male. Asher was no stranger to the fact Krystal was exiled, he may be far from the Tribe but Krystal's exile was no recent news. He perfectly knew Krystal was an exile, yet didn't seem to care at all. At the mention of her given name, she felt herself wince partially as she knew that she hadn't given her name to the dragon. Her heart rapidly beat in her chest as her eyes seemed to be downcast. Krystal was afraid that her old, horrid and unfair past was going to catch up with her. But alas, this was exactly what had happened. She was just about to turn to leave, as if she had been the cause of a great plague, but then it almost slapped her in the face. He hadn't told her to leave, nor get out of there or tried to kill her on sight as others once had. Instead, he had offered a welcome and warm hand and offered her food. For a few moments, Krystal hesitated, the clear stream washing away the dirt from her claws which were still by its edge. "Are you sure...? You do know what I was accused of, yes?" She asked, genuinely confused as to why someone would want a mass murderer in their home. Well, a supposed mass murderer. Asher gave a look back as Krystal expressed her incredulity at his behavior. He started to feel a bit of pity for that dragoness. How hard must her life have been if a simple show of kindness was putting her in such an astonished and confused state ? There was a huge difference in liking to be alone like him, and being thrown away like Krystal had been. "Yes, I do know the reasons behind your exile. But unlike most of my brethren, I tend not to believe everything that is said - if I did, I wouldn't go anywhere in my studies. Who could slaughter their siblings while being only a few years old ? It'd take a twisted psychopath to do so. And a twisted psychopath wouldn't have stopped to these few murders. Nor would that same twisted psychopath be half-cowering in fear near me. Doesn't really add up. Maybe one day I'll get to hear your side of the story... So yes, I'm sure. Now, are you going to come ?" he simply asked her. The dragon was kind, but he did seem on a short fuse with Krystal, most likely due to the fact that she had shown him nothing but aggression at his 'offer'. Even though her hunger was severe, she somewhat didn't want to accept his offer. It could be poisoned, tainted, or anything and she wouldn't know what it would be until it was too late. For a few more moments, Krystal would watch Asher closely for any other movements which he would do, before a sigh escaped her. "Alright... I'll come... so long as you don't mind having that supposed twisted psychopath in the same room as you." Krystal half teased, but her voice still sounded harsh as she never was nice to dragons anymore as she was once before. With an elegant leap, Krystal crossed the to land lightly in the snow on its banks. She slowly approached him, nervously watching him for any signs of movement that he did. If he would approach her, she would freeze and take a few steps back. However, she would follow him if he started to walk. "How did you know that I am not what they accused me of? Are my charges on public record for everyone to view?" Asher watched as Krystal hesitated before leaping toward his direction. The icy blue dragon walked forward, keeping an eye on the dragoness behind him. He wasn't the most delicate dragon ever when saying things, since he wasn't a very social dragon. But Krystal had a whole other kind of bitterness in her voice that made what she said sound harsh. Well it was understandable after all. Asher wasn't going to come toward her either - He wasn't the kind to just hug a stranger like that. And, besides, he maybe was half knowing Krystal wasn't what she was accused off, but it didn't mean he wasn't remaining cautious and ready to defend himself if Krystal decided to attack. Asher had a shrug at the dragoness's last question. "I wouldn't say for everyone to view, but anyone can read who are the exiled Icewings and what they are accused of. I just thought it would be a useful precaution to know about them since I was going to live in the remote parts of the territory, where I might encounter them. Seems like I was right about that. As for you, I already said it. I don't think I would be having a civilized discussion with you if you were the kind of dragon who could slaughter their siblings without any remorse." he replied. They soon arrived near his cave, but Asher didn't step right in. Rather, he headed to what seemed like a chest with a rock attached to the upper part, to prevent wild animals from opening it. The inside seemed to be filled with ice, and some meat was resting on the ice. Asher grabbed the meat, turning toward Krystal as he did so. "Do you want me to cook it or are you starving enough not to care?" he asked her. Krystal, noticing his bitter tone and his defensive guard, almost snorted. 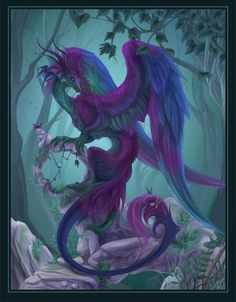 If he hadn't been offering her food which she was dying to have, she would just leave the dragon behind and go wander off to do whatever she wanted to do. He may have been slightly disrespectful, but Krystal couldn't blame him. After all, she had apparently killed her entire family, and also her siblings at an incredibly young age. She would follow him carefully to his home-which was more than whatever she would ever be able to get. Hell, she wasn't even allowed to be here. It was IceWing territory, not the rogue territory. She sighed quietly, her form frowning as she would half glare at the ground beneath her to curse herself for everything. For not protecting her siblings. For not helping them. For not saving them. "And... To answer your question... I'm starving enough to eat anything alive still." Krystal would comment with a small laugh. Asher simply looked at the dragoness as she looked a bit defiant, seeming lost in some thoughts - before her hunger got the better of her. Yeah, of course she wasn't going to be picky about her food. If she lived in the outskirts of the territory, she didn't have much to hunt - the preys were mostly inside the Icewing territory, it would have been elsewhere otherwise. Her fur was hiding it, but Asher was sure that under it was a body showing signs of malnutrition. If his own first impressions were true and Krystal actually wasn't guilty of what happened, it must have been a terrible life she had led. "Well, help yourself then. You can take all you want from the chest, I needed to resupply soon anyway." he just told her, handing her the first piece of meat.